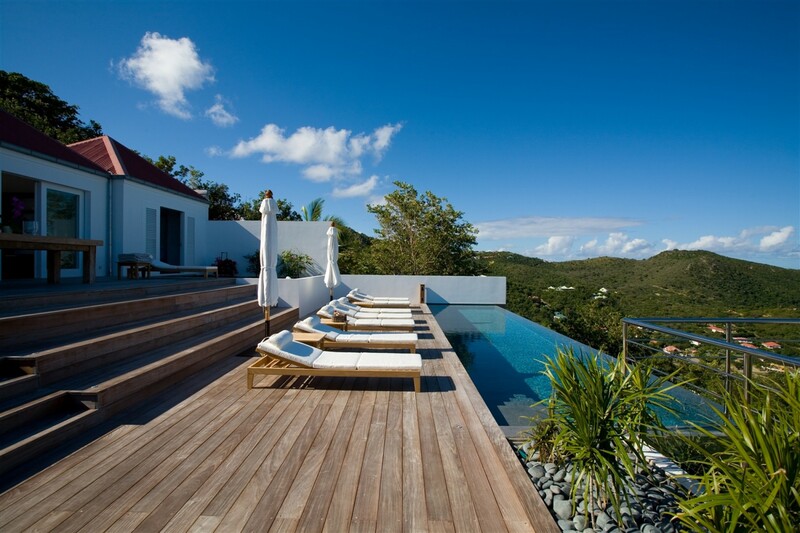 Welcome to Villa Welcome to Villa Amelie, a lovely 4 bedroom villa rental with private pool and breathtaking panoramic views located on the hillside over looking Saint Jean Bay. The lovely town of St Jean is less then half a kilometre from Villa Isabella. 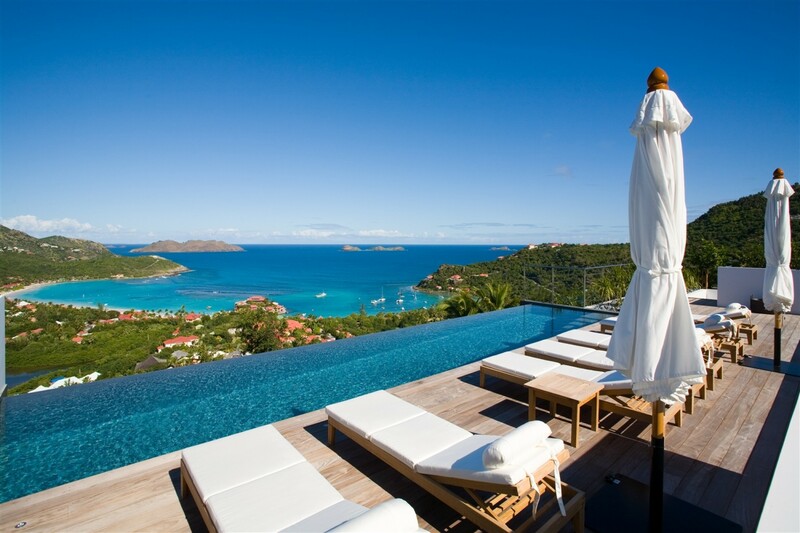 Saint Jean is second in size to the Capital of Gustavia and is also the only other sizable town in St Barths. St Jean sits on the Island’s North Shore on Baie de St-Jean just over the hill from Gustavia. The small airport of St Barths lies at one end of St Jean and it is always fascinating to watch the tiny planes coming into land over a steep hill and down onto the second shortest runway in the world. Aswell as the beautiful Eden Rock Hotel, there are several other nice restaurants and bars along St Jean Beach. Behind the beach, just a couple of minutes walk the Eden Rock is the small town where there are two rows of very chic shops and some restaurants and bars. The interiors of this luxury villa rental are stunning. 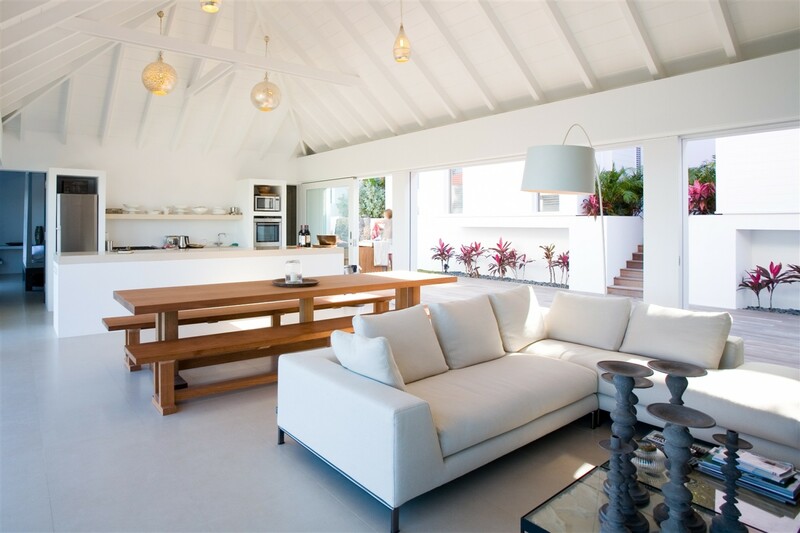 The main living area, kitchen and dining area are open plan and the spaces seamlessly integrate making the villa ideal for holiday living. 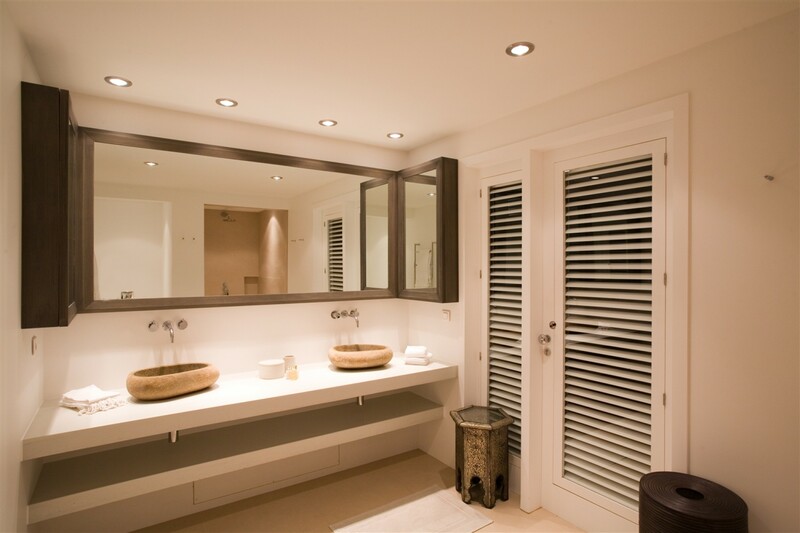 The décor is very chic with shades of grey and white giving a calm relaxed feel with comfortable and clean lines. The living area features floor to ceiling sliding doors that open right up to the outside at both the front and the back of the room making it the most wonderful house to enjoy indoor/outdoor living. 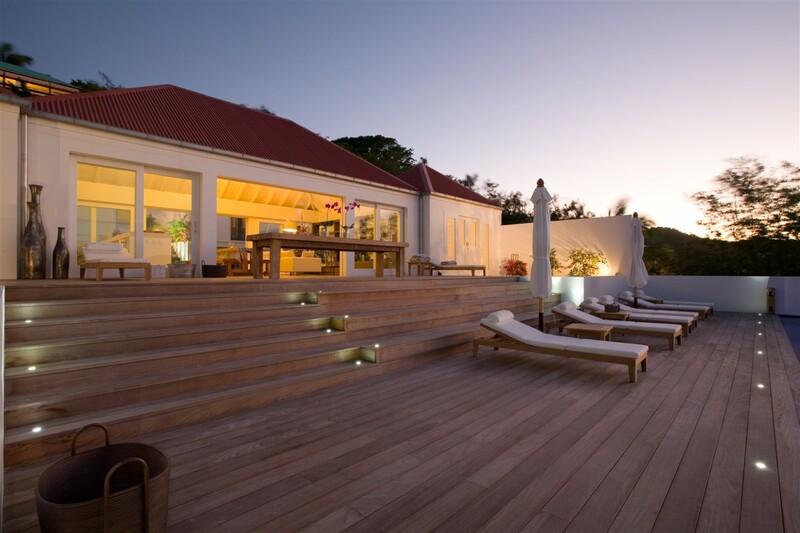 To the front, the living room opens onto a huge teak wooden deck which features a beautiful custom made dining table – the perfect place to enjoy meals with friends and family. 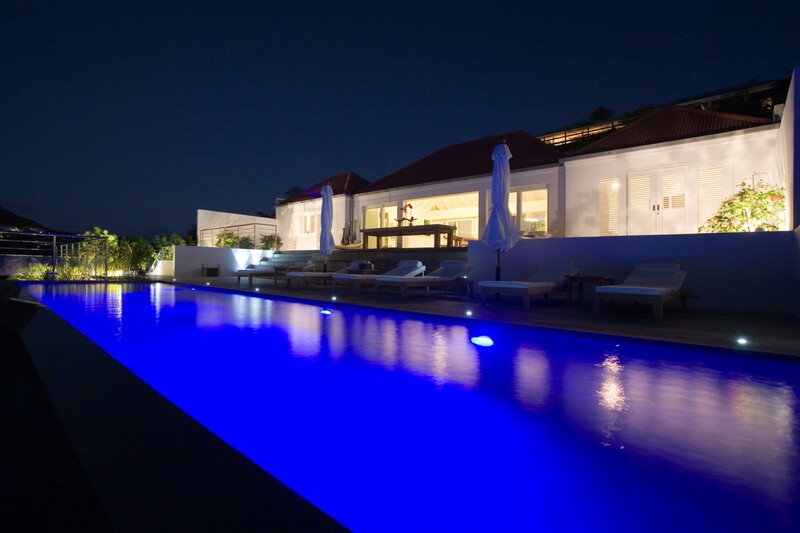 From here there are a few steps down to a stunning infinity pool. The pool is surrounded by supremely comfortable sun loungers and the view from here is absolutely incredible. 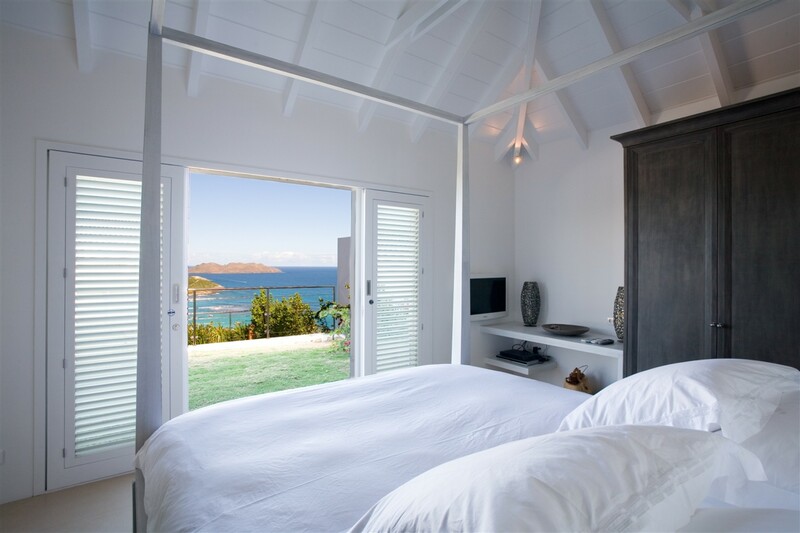 The two main bedrooms of Amelie are located on either side of the main living room each opening out on to a small lawn allowing you to lie in bed, and take in the breathtaking view. 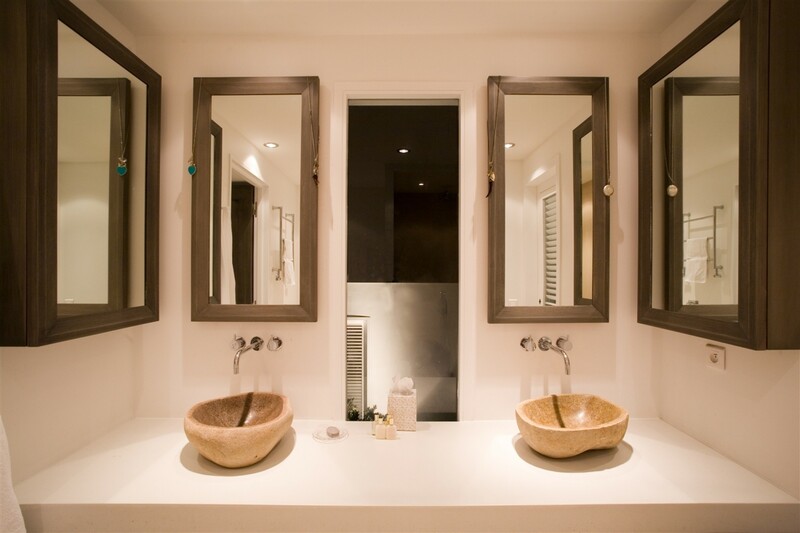 In the bathrooms, the basins are made from huge river pebbles that have been hollowed out. The same pebbles have been used both inside and outside showers. At the back of the main living area is a lovely peaceful and quiet courtyard. Up a few steps, you find another two bedrooms and bathrooms all decorated in the same gray and white tones. 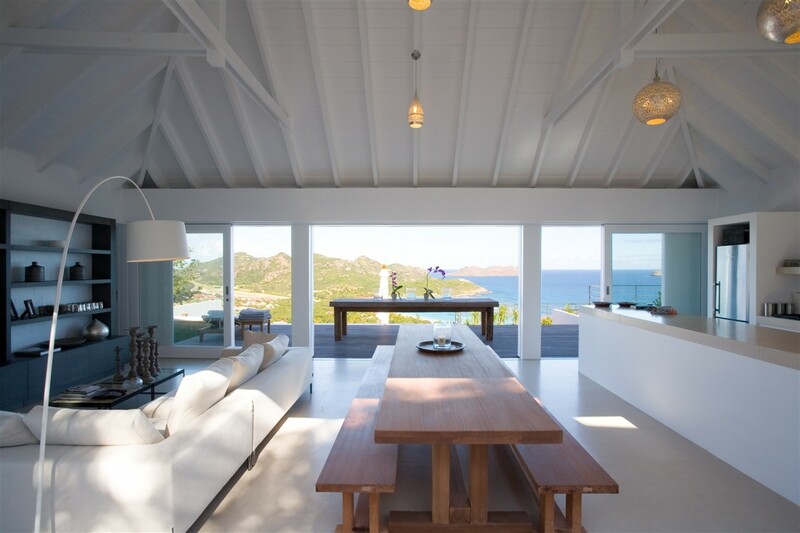 Villa Amelie is a house for holidays every detail radiates, comfort, and style and gives it the quiet magical feel that is St Barts. Bedroom 1 & 2 – 1 King Bed, Air Conditioning , DVD Player, En-suite Bath , Flat Screen TV, Dish network, Screens Opens onto the view and connects to the living room. Features a four poster bed and dressing area. Bedroom 3 – 1 Queen Bed, Air Conditioning, DVD Player, En-suite Bath, Flat Screen TV, Safe, Dish network. Located in an upper level in an independent building, next to bedroom 4. Features a four poster bed and white and grey furniture. Bedroom 4 – 2 Twin Beds, Air Conditioning, DVD Player, En-suite Bath, Flat Screen TV, Safe, Dish network. Located in an upper level in an independent cottage, next door to bedroom 3. 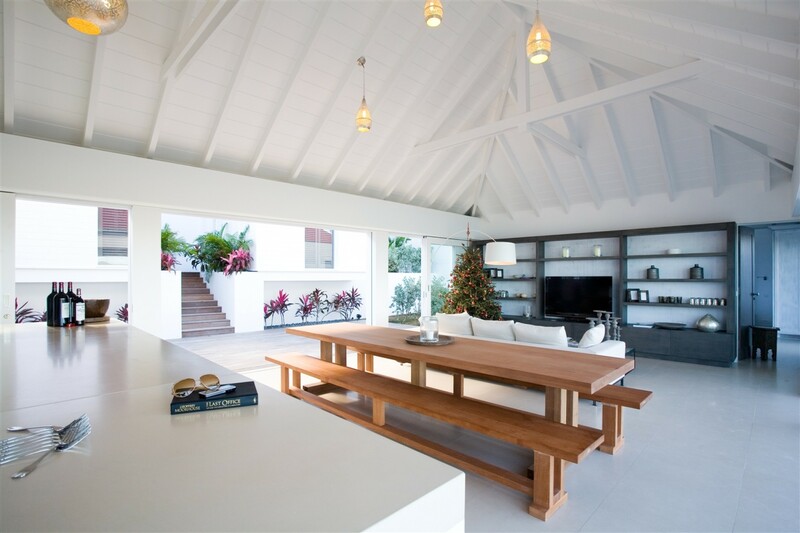 White & grey furniture. Large well-equipped kitchen. Inside large dining table for eight. Contemporary style. HDTV, iPod Dock, Dish Network Satellite, WiFi. 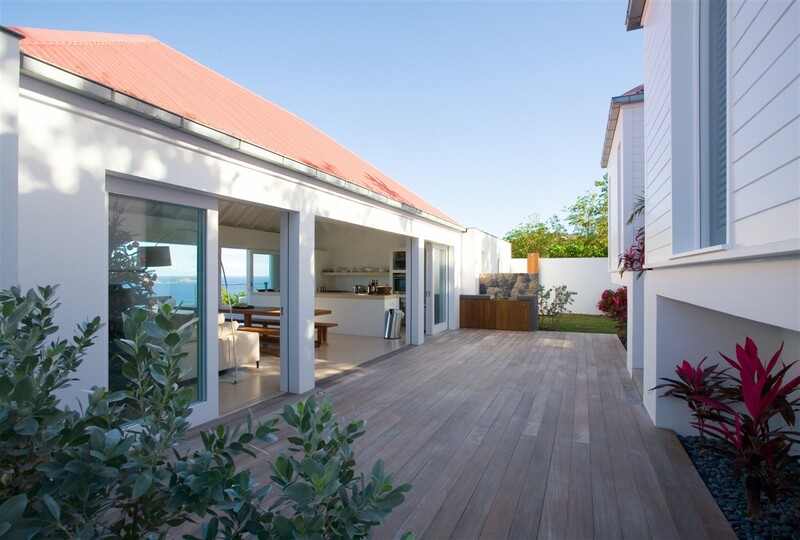 Opens onto terrace, pool and view. Indoor dining table for eight. Contemporary style. 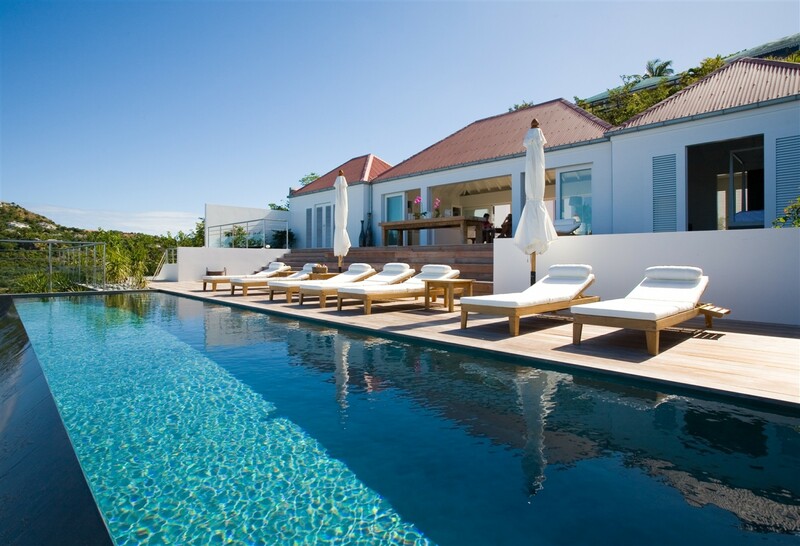 Large terrace along the infinity pool and facing an amazing view of the St Jean Bay, the ocean and islands. Large outside dining table covered by a shade. This terrace in the back side of the living room offers you a cosy alcove to enjoy the inside garden and yet still enjoy the ocean view. 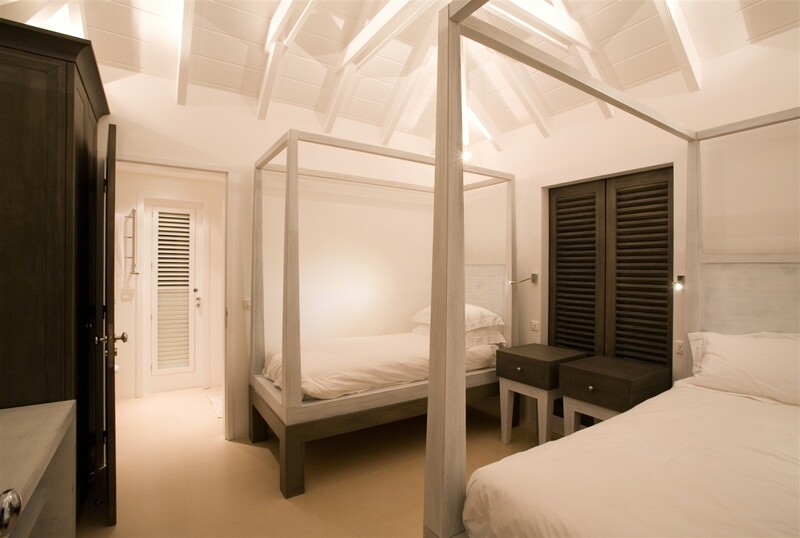 STAFF: When you stay at Villa Amelie, you will be personally cared for by our wonderful housekeeper 6 days per week. You will feel welcomed and pampered throughout your stay. If you should decide to leave the sanctuary of your home, you will find an incredible selection of world class restaurants just a couple of minutes walk away. 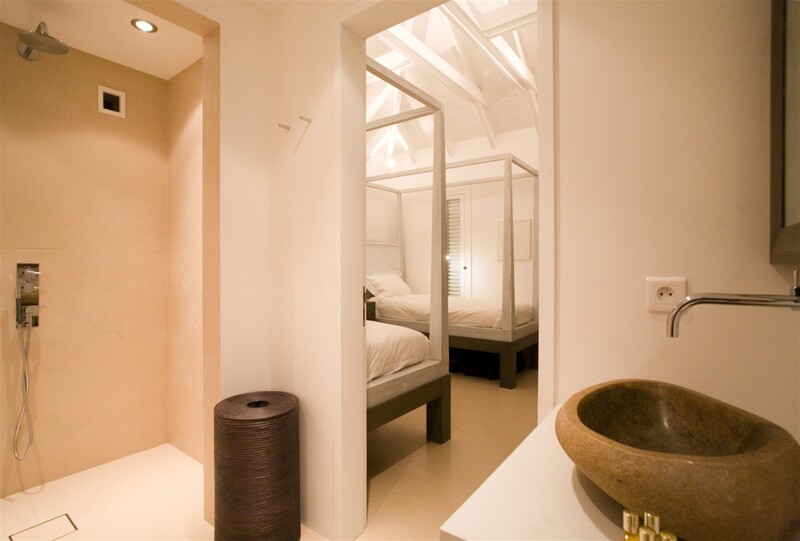 Villa Amelie also offers a concierge and maintenance service. The lovely town of St Jean is less then half a kilometre from Villa Amelie. 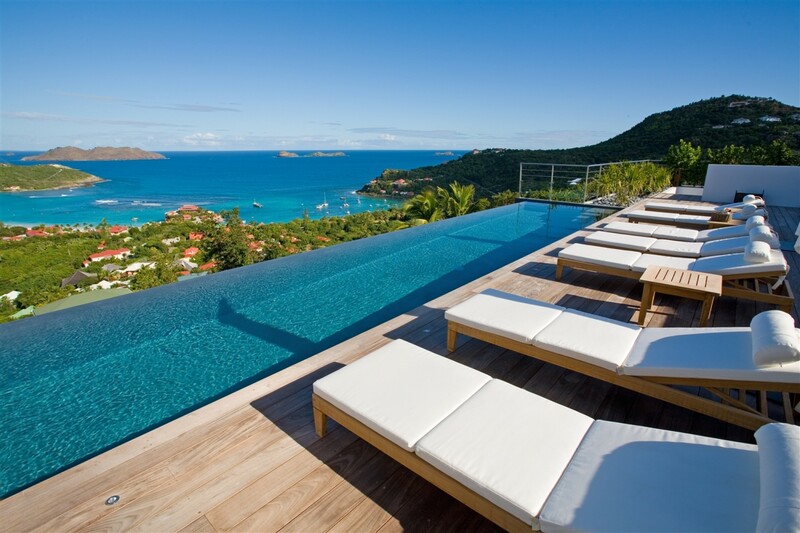 Saint Jean is second in size to the Capital of Gustavia and is also the only other sizable town in St Barths. 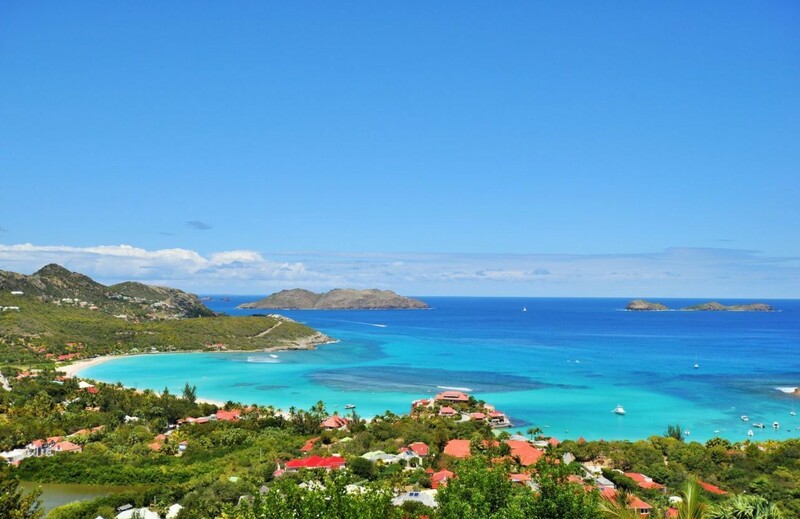 St Jean sits on the Island’s North Shore on Baie de St-Jean just over the hill from Gustavia. The small airport of St Barths lies at one end of St Jean and it is always fascinating to watch the tiny planes coming into land over a steep hill and down onto the second shortest runway in the world. Aswell as the beautiful Eden Rock Hotel, there are several other nice restaurants and bars along St Jean Beach. Behind the beach, just a couple of minutes walk the Eden Rock is the small town where there are two rows of very chic shops and some restaurants and bars. 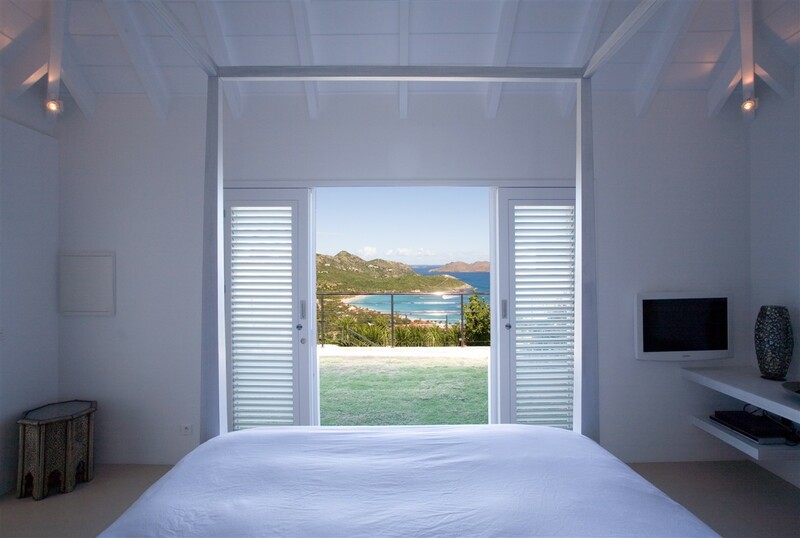 St- Jean is one of the most popular and most chic beaches on St Barths. It actually comprises of two beaches divided in the middle by the famous and stunning Eden Rock Hotel. St Jean is also home to Nikki beach. It is a spectacular beach with pure white sands and calm turquoise waters which are perfect for snorkelling. It is also a great place to people watch and to plane watch. The tiny planes come over the brow of the hill and land on the incredibly short runway at the end of the beach. If you are looking for some fun, then La Plage on St Jean beach is a good place to go on a Sunday. The villa was gorgeous, Nicolas was amazing and the island intoxicating! Julie, I just wanted to tell you that the villa & Richie have been spectacular so far. 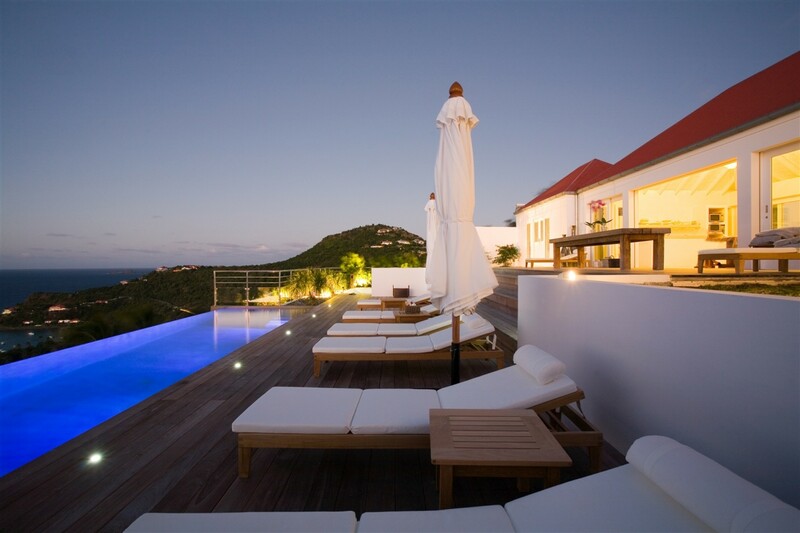 The villa is even more breath taking than in photographs and we have been enjoying St. Barths immensely. Would you let us know if the villa is available for the same time next year? 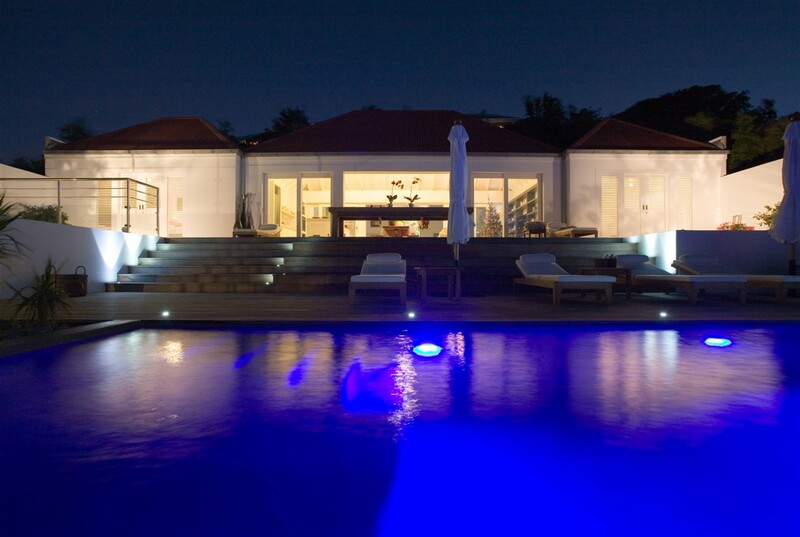 We would love to place a deposit to hold the Villa as no one has hesitated on going back. Please provide the details to reserve the lovely Villa. We love Isabella! We have had an amazing trip. 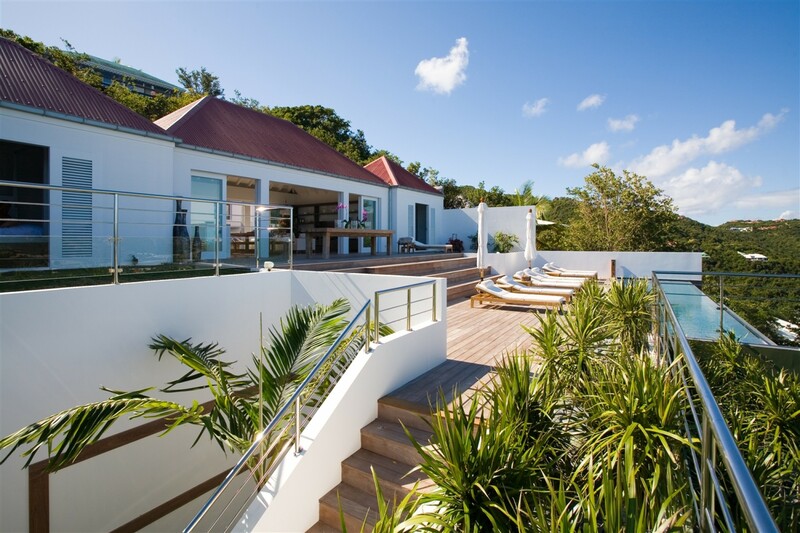 I have stayed in this villa for one week with my colleagues and I can honestly say its is one of the nicest villas in St Barths. The location is superb, close to St Jean with its restaurants, boutiques and the wonderful St Jean Beach. 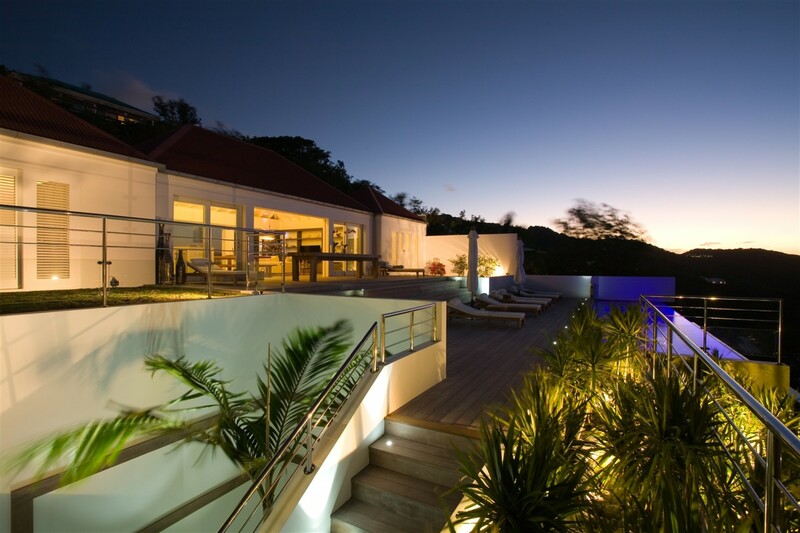 What I love most about this villa is the stunning sunset over St Jean bay each evening. This villa is a must!